Game of Thrones season 8 is not going to release until the first half of 2019. Here is everything we know so far. Let’s check out its official GoT S8 premiere date (if there), cast, plot, trailer, spoilers, news, updates, and much more. This fantasy tv series of HBO has been one of the most watched as well as pirated shows ever. Here is our preview, predictions, and may involve spoilers too in form of rumors of Game of Thrones final installment. Yep, you heard it right, it is the final installment of the most searched and talked tv shows. The GoT season 7 ended after The Night King used resurrected Viserion’s fire to melt down The Wall. Then, the army of the dead was seen crossing it. 1.1 Game of Thrones Season 8 Release Date: When is the GoT S8 Premiere? 1.2 Game of Thrones Season 8 Episodes: How many GoT 8 episodes will there be? 1.3 Is GoT S8 really the final season? 1.4 Game of Thrones Season 8 Plot: What’s the GoT S 8 Story? So, Winter is finally here. We will be able to see our favorite characters – Jon Snow (Aegon), Daenerys Targaryen, Tyrion Lannister, etc. after a break of some month. As the series has grown, the hype and anticipation around it have increased multiple times. And now, it has reached its peak with the last installment. So, HBO is trying to guarantee that it will a quality season. The network is giving sufficient time as asked by the producers / directors to build the best season ever. Thus, everyone has got high hopes for what is coming next. Meanwhile, let’s go through what has been official, its rumors and news so far. 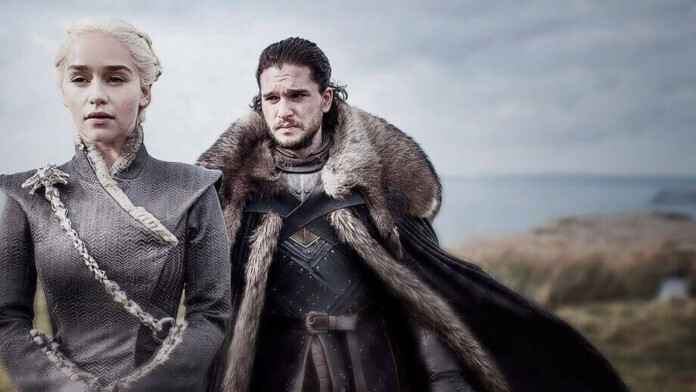 Game of Thrones Season 8 Release Date: When is the GoT S8 Premiere? The official release date of GoT season 8 is not known yet. So, we don’t know when is the next installment of GoT coming out. But, the filming has already been started in the last of 2017. However, we know that it is going to release in the first half of 2019. It has been confirmed by the HBO programming president Casey Bloys at the TCA Summer Press Tour. Game of Thrones Season 8 Episodes: How many GoT 8 episodes will there be? Until season 7, GoT used to consist of 10 episodes. But, in GoT S7, there were only seven episodes. As per the confirmed reports, there are going to be a fewer number of episodes than the last installment. It will include only six episodes, but they will be feature film lengths, i.e., of 80 minutes each. More minutes means more budget. The GoT season 8 has been written already. The Game of Thrones season 8 episode 1 will be written by Dave Hill, Bryan Cogman has written the S8 episode 2. The showrunners Benioff and Weiss will write the final four episodes each. The breaking edition of this installment is that author George RR Martin is not going to script a single episode this time around. Is GoT S8 really the final season? Yes, you read it right. It’s the final installment. It’s because the show is based on a series of book, currently incomplete, written by author Martin. So, with the number of books that have been completed, it is the definitive end. The showrunners already know it and it has been shared with fans many times. George Martin is currently working on his upcoming book, The Winds of Winter. It’s incomplete as of now. We don’t know when will it complete. The author is engaged in many works likes spinoffs, movie, books, etc. One confirmed news is that HBO is looking forward and working on five potential successors. It could be the prequels, sequels, or spin-offs of the current timeline. Game of Thrones Season 8 Plot: What’s the GoT S 8 Story? We don’t know much about it. But, the seventh installment left at the following event. The Night King used resurrected dragon Viserion to breach The Wall and have entered into Westeros with an army of White Walkers. Queen Cersei Lannister didn’t listen to his brother Jaime and betrayed Jon Snow and Daenerys Targaryen. Then, he left her and opted to go North and help others. Now, Daenerys has only two dragons but has gained the support of Jon Snow who is a great fighter. Sam and Bran deduced that Jon is actually Aegon Targaryen, the son of Dany’s late brother Rhaegar. He now becomes the rightful heir to the Iron Throne. Theon Greyjoy has gained hopes to regain his honor by rescuing his sister Yara from his uncle Euron’s captivity. Euron and Cersei are now partners and looking forward to destroying the enemies with the help of the Golden Company. Sisters Sansa and Arya Stark murdered Littlefinger and put an end to his meddling. They used the visions of their brother Bran Stark. No official updates are out yet. No plot details have been released. But, fans always have their theories. Sometimes, they work while sometimes not. One report said that Game of Thrones S8 has been made on the outline of the final two novels of Martin, A Song of Ice and Fire. None of them are published yet. One thing is clear that the upcoming season will have a massive battle scene. The team spent 55 days filming a major battle. It was filmed at the Moneyglass Base in Northern Ireland. For reference, it is the longest of any major battle filmed for the series. So, it is going to be something truly epic. The list of GoT season 8 cast has been confirmed. Everyone who survived in the end of season 7 will be seen next. Following are the returning recurring and guest stars. Not even a single official video is out yet for the coming season. It won’t be because the production is going to take many more months. Meanwhile, you can watch the following videos to satisfy your hunger for Thrones to some level. We will update every section as the news comes in. Stay tuned to TheReporterTimes for more Game of Thrones updates.